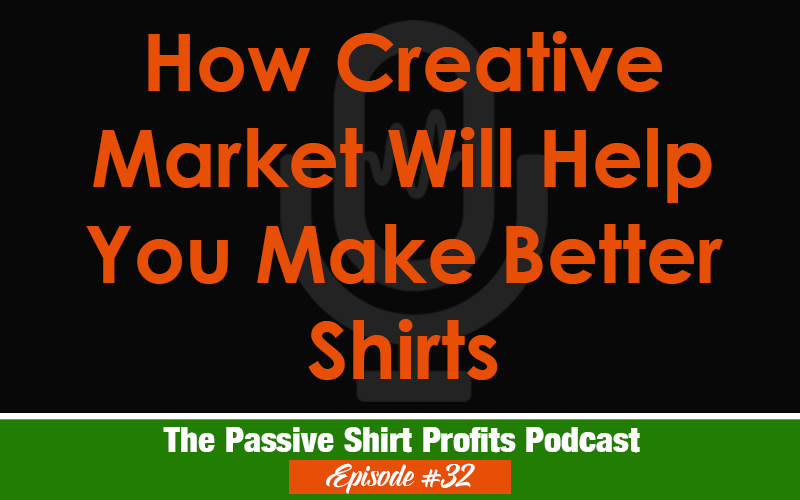 How Creative Market Can Rev Up Your T-Shirt Design Skills for Free! I love Creative Market! I’ve purchased quite a few of their fonts, especially their bundles. But my biggest lesson from them didn’t cost me a dime, and I talk about how their site has helped me with typography and T-Shirt design. Your T-shirts can easily go from drab to fab! I also found you on YouTube and been listen to you ever since. Thank you so much. I found you on YouTube and instantly subscribed. Glad to see that you are creating podcasts. I’m in the car more than at a desk in front of a computer. Your online persona is refreshing and your voice that is easy on the ears! It’s nice to take you along for the ride during the day. I’m just started to build the online presence as a side hustle as I shift into retirement. Your diversification advice is spot on. Thanks for helping others. I’ll be sharing your content to encourage others to do the work to improve their lives. Keep on doing what you’re doing. New to POD or Not Making Sales? Enter your name and email in the form below for a free guide and video about software.